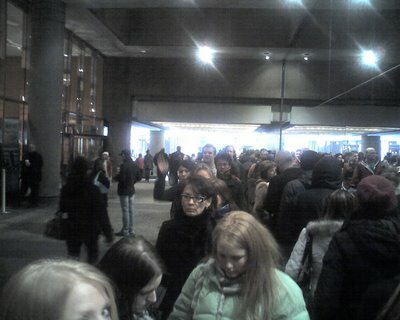 I'm in the 1/2 price broadway tix line. There are lots of people. Many TKTS employees seem only to exist to yell at people to keep the line moving.